Here’s the thing, Christmas is amazing. It’s the most wonderful time of the year, and all that. But amongst all the glamorous bits and bobs one of my favourite parts is picking at the leftovers. Lots of bits of turkey, offcuts from the ham, cheese and oatcakes, all with a little bit of Christmas chutney to add a little bit more depth and flavour along the way. Of course I love big meals with friends and family, but who amongst us doesn’t love cold cut lunches and those few days between Christmas and new year where no one knows what day it is and you can spend the day on the sofa binging box sets and blockbusters with varying plates of leftovers? 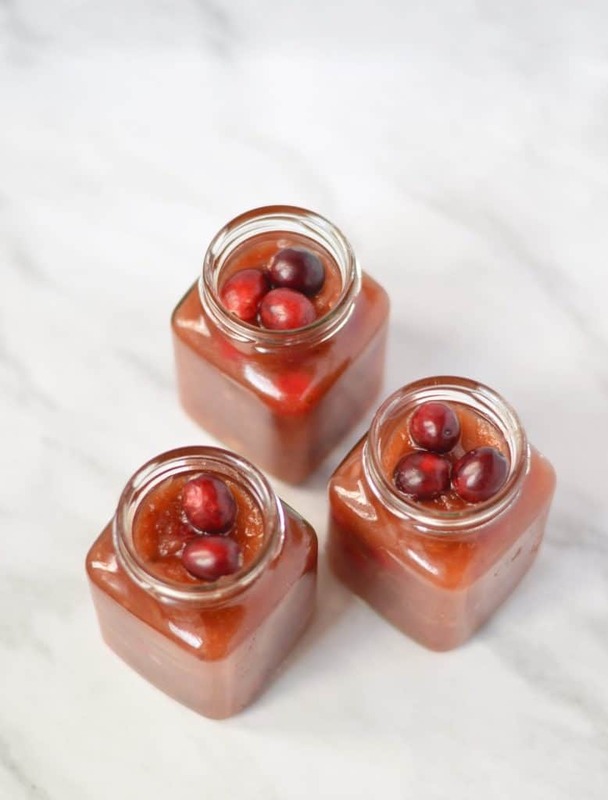 There’s always the option of some cranberry sauce to go with that bit of turkey, but a chutney is a great way of adding a little more excitement to your leisurely, glutenous snacking habits. This Christmas chutney solves the ‘chutney or cranberry’ question by bringing the two together. Spread it on biscuits and cheese, put a spoonful on that turkey salad (which you’re claiming is ‘healthy’, but that primarily relates more to the notion of the word ‘salad’ than the turkey-heavy plate in front of you), use it in any way that makes what would ordinarily be dull leftovers sing. This Christmas chutney is going to be your friend this festive season. Put it in a fancy little bowl on the table, keep a jar in the fridge for jazzing up snacks, or make a few jars and give them to friends. Everyone loves a bit of chutney, and this is the festive treat we all need to make the Christmas holidays pass in a daze of happy food-induced naps. 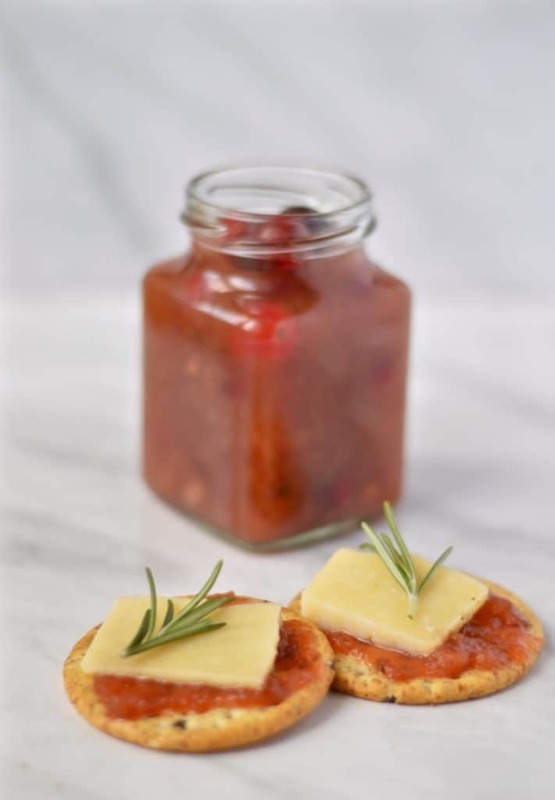 This is a great recipe for the festive period – it’s got plenty of bite to go with turkey or cheese and is also great to give as a gift. Core, peel and chop your apples, adding them into a bowl with some water and lemon juice to stop them browning. Peel and cut your onions into chunks. Add all the ingredients, minus half of the cranberries, into a large pan and set on a medium heat. Stir every few minutes to dissolve the sugar. Turn the heat up to bring the mixture to the boil and then cook for 45-50 minutes, stirring every few minutes to get it to thicken. Add the remaining cranberries in and stir for another 5 minutes. 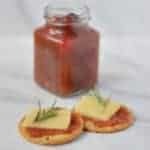 Decant into sterilised jars and seal. Store in a cool, dark place for up to six months.